Home » dentist-blog » Teeth whitening: day-glo white or keeping it real? Somewhere along the line teeth whitening has become synonymous with whiter-than-white teeth that can look unnatural and sometimes plain weird. Let’s face it no one is born with white-out coloured teeth. These day-glo delights are now the norm in Hollywood and are becoming the overdone botox look of the dental world. In my opinion, over-bleached, bright white teeth are giving teeth whitening a bad rap. This is unfortunate because teeth whitening can offer something so much more desirable – a natural, clean, healthy looking smile. It may come as a surprise, but teeth whitening can be subtle, and it can be tailored to suit your skin tone. It is a versatile treatment that can deliver numerous shades of white, including pearlescent white dazzlers. For anyone who is self-conscious about the discolouration, or yellow colour of their teeth, whitening is the ideal treatment to restore your teeth’s lighter natural colour and your smile confidence. Teeth whitening is a bleaching process that uses either hydrogen peroxide or carbamide peroxide as the active ingredient to remove staining on the tooth’s enamel and discolouration inside the tooth’s dentin. It is safe, quick and simple, and the best part is that you are in control of determining how much lighter the colour of your teeth will be. With home whitening kits the bleach is applied over several applications allowing you to decide when your teeth have reached your preferred colour. The first step is for your dentist to make bleaching trays, which are similar but less bulky and more comfortable than mouthguards. 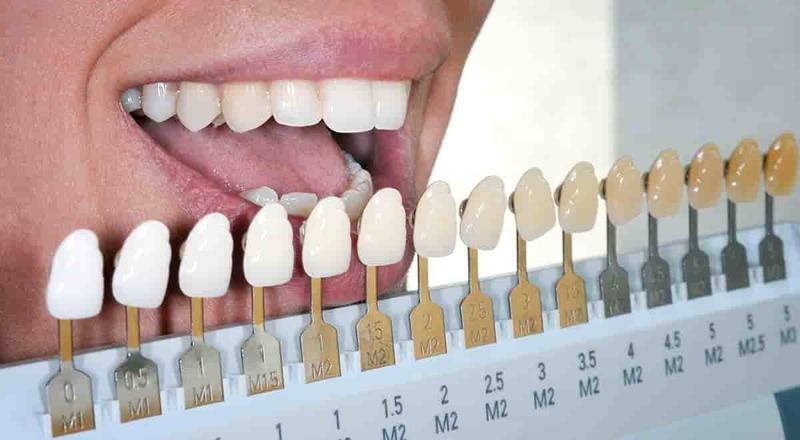 Impressions of your teeth are taken by your dentist and are used to make personalised bleach trays that fit snugly over your top and bottom teeth; it usually takes a few days for the trays to be made. Once you have your teeth whitening kit you can start the process straight away. Keep the bleach that comes with your teeth whitening kit in the refrigerator. If the bleach heats up too much the active ingredient won’t be nearly as effective. Apply a small, rice-sized drop of bleach in the front surface of each tooth in your trays (You don’t need to worry about the back surface of your teeth because they won’t be seen). When the allocated time is completed, take out the trays and lightly brush your teeth without toothpaste to remove the remaining bleach from your teeth. Bleaching trays should be worn everyday, for 4-6 consecutive days, or until your ideal whitening is achieved. If you are experiencing sensitivity you can wear the bleach trays every second day until the desired colour is reached. Another option if you are experiencing sensitivity is to use Tooth Mousse after each bleaching session. Tooth Mousse is applied to your clean bleaching trays and worn for 2-5 minutes after each bleaching session. Any left over bleach can be reused within a 12-month period if it has been kept continuously refrigerated. During and after bleaching your teeth become more porous (more absorbent), so you should avoid any stain-causing foods and drinks, such as tea and coffee, red wine, curries and smoking. You will notice that your teeth may start to discolour again over time, this generally occurs within a six to twelve month timeframe depending on how much and how regularly you drink/eat certain beverages and foods that stain your teeth. When you reach this point you can repeat the whitening process. So, if you could choose the colour of your teeth, would it be day-glo dazzling white delight or fresh-as-a-daisy natural looking white? By Dr Luke Cronin| 2016-10-19T14:37:20+00:00	March 9th, 2016|Dental Advice, Dental FAQ, Teeth Whitening, Teeth Whitening Sydney|Comments Off on Teeth whitening: day-glo white or keeping it real?